We’re proud to make LGBT PRIDE a priority! Because LBGTQ youth need families and LGBT parents can form permanent, loving families for youth of any age, gender or sexual orientation. inviting couples and individuals who identify as Lesbian, Gay, Bisexual, Transgender to consider adopting young people (who may identify as straight or gay or questioning) and forming permanent loving families. Why our focus on LGBTQ youth? Multiple losses, rejection after rejection – including from both birth family and foster families – make LGBTQ kids terrified to be themselves – and to reach out for help. Studies have shown that 26% of young people who come out as LGBTQ to their families of origin are forced to leave their homes and that 78% of LGBTQ youth experienced some form of anti-LGBTQ bias or harassment in their foster care placement. This leaves them extremely vulnerable to becoming homeless, destitute and losing hope. We know that there are loving and affirming lifetime families for all youth in foster care – no matter their age or orientation. Our job is to connect (or help to re-connect) these youth to the permanent families they so need. And we are delighted to announce that we have received funding from the Redlich Horwitz Foundation to hire a staff member who will be completely dedicated to connecting LGBTQ youth to permanent families. The grant also allowed us to fund a Senior Youth Advocate who will support all of our work with youth, including LGBTQ youth. We’ve already begun the work and will look forward to sharing our results in the future! 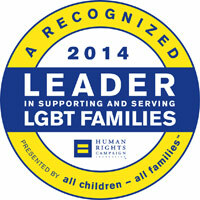 Why our focus on LGBT parents? We firmly believe that all adults, regardless of orientation, age, relationship status or physical abilities, can be the loving, permanent parents that youth in foster care need and want. Today, as gay and lesbian marriage becomes more possible in states across the nation and ideas of family are expanding regardless of marriage status, we want to invite and encourage LGBT single adults and couples to consider older youth as possible members of their new families. YGB provides leadership in LGBTQ advocacy both locally and nationally. We are a founding partner of the ACS LGBT Action Group and are a key collaborator with the The Center’s LGBT Foster Care Project–a project to increase the number of homes for all youth, with a special emphasis on LGBTQ youth. And we’re proud to say that in 2013, the Human Rights Campaign (HRC) Foundation, the educational arm of the nation’s largest lesbian, gay, bisexual and transgender civil rights organization, presented YGB with the All Children-All Families Seal of Recognition. YGB earned the honor of the HRC LEADER Seal by meeting the required criteria for fully inclusive policies and practices in working with the LGBT community. 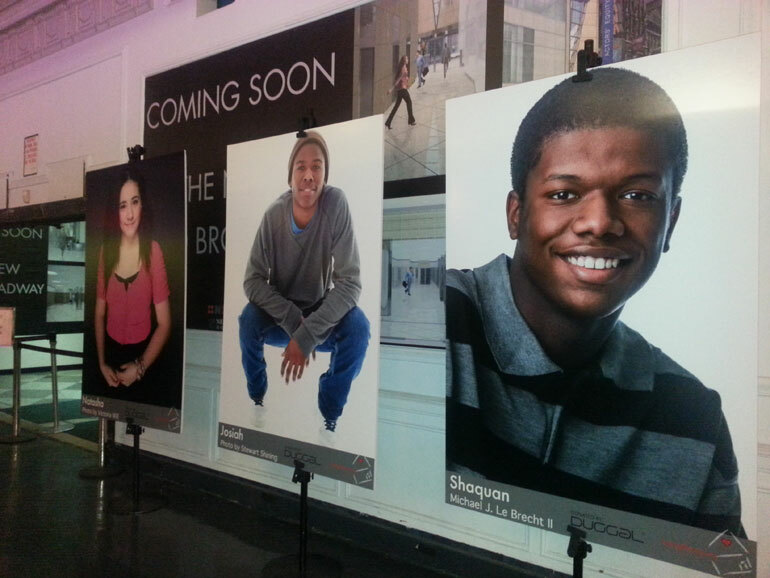 Our YGB Pride campaign kicked off this June with the first-ever PRIDE photo exhibit of LGBTQ youth and families. This powerful exhibit, developed in partnership with معدل التحويل, was shown at the Times Square Alliance from June 10 – 20 and then traveled to other venues in New York City. We specifically reached out to and exhibited at four area gay-affirming churches – Metropolitan Church, Fort Washington Collegiate, Riverside Church, and All Souls. Our current campaign #WhatMakesFamily asks you to join in the national conversation about what truly makes families – of all types and orientations. Share your voice and your views on Twitter or on our Facebook page.